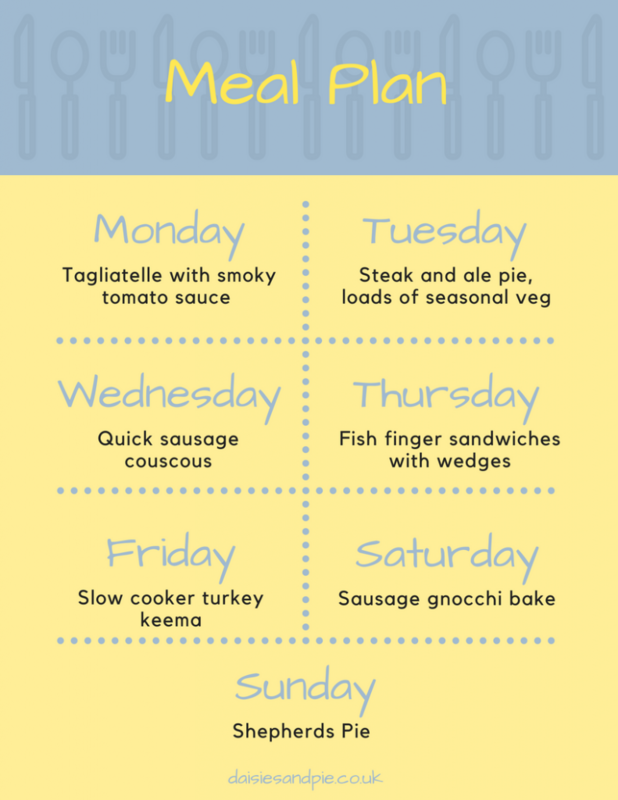 A weekly family meal plan filled with delicious autumnal family dinner recipes and meal ideas. We’re cooking up all of the comfort food this week, autumn food is most definitely my favourite. A really easy tomato pasta sauce, packed with flavour and served with fresh tagliatelle and loads of Parmesan cheese. I’ll throw steak, ale and seasonal vegetables into the slow cooker to make a pie filling, top with shop bought pastry and finish off in the oven. I’ll do creamy mashed potato to go alongside, maybe some kale. Grilled chicken sausages sliced into rounds, mixed into flavoured couscous with mushrooms, courgettes, peppers and herbs – quick, easy and delicious. Brioche rolls stuffed with salad leaves, fish fingers, tartar sauce and tomato slices, alongside oven baked wedges and pesto pea dip. Grab the ultimate fish finger sandwich recipe here. 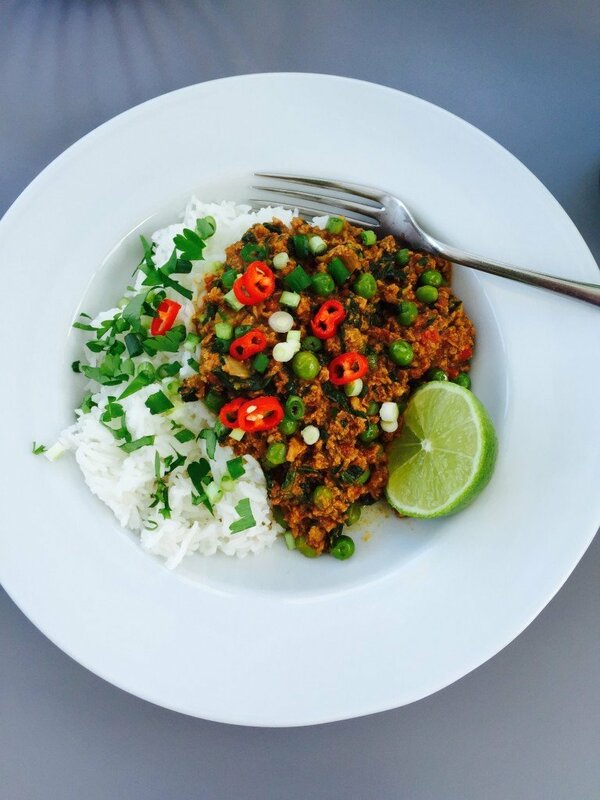 A delicious easy slow cooker keema curry using turkey mince for a little healthy twist. This tastes great served alongside some mint raita, mango chutney and poppadoms. Get the turkey keema recipe here. 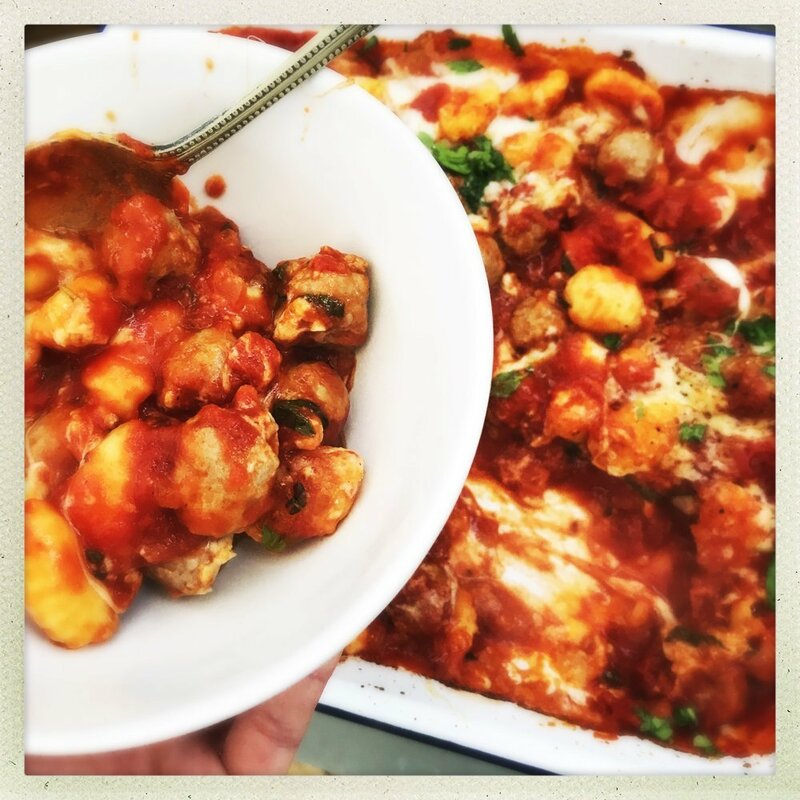 Pure comfort food that’s ready quick and tastes amazing – sausages and gnocchi tossed together in a rich tomato sauce, topped with cheese and finished in the oven. Totally YUM! Get the sausage gnocchi recipe here. 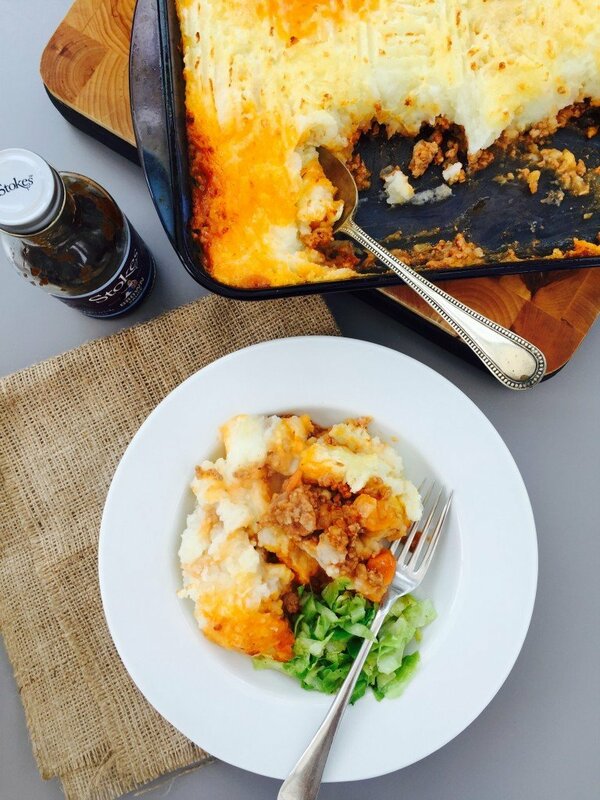 Another comfort food classic family dinner – savoury lamb mince and vegetables topped with creamy mashed potatoes and finished in the oven. A side of pickled red cabbage, sliced beetroot and a dollop of brown sauce go really well here. Get the shepherd’s pie recipe here.